A Heavy-duty cutting polish for serious paint imperfections. It removes heavy scratches, oxidation and sanding marks. 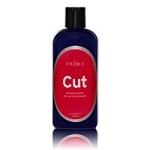 Prima Cut contains no silicones or waxes, making it body shop safe. We recommend you fallow Prima Cut with Prima Swirl to remove any hazing or dulling left by the leveling process. It's finally here: A picture frame for your vehicle! 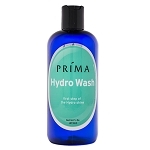 Hydro Wash was designed specifically to enhance the longevity of Prima Hydro Seal. Prima Slick is a polymer-fortified quick detailer that leaves paint with a warm glow and fantastic slickness. 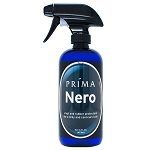 Prima Nero is a water-based vinyl, rubber, and plastic protectant and dressing for both interior and exterior surfaces. 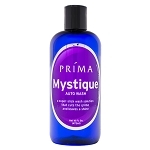 Mystique Auto Wash is a concentrated wash solution that lubricates the surface and safely lifts dirt and sheets it away. Make sure the air flowing into your intake remains clean! 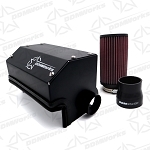 The DDMWorks R55/56/57 Intake opens the restrictive stock intake gaining HP and a fun little growl. 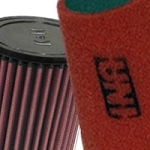 Intake fits R55 Cooper Clubman, the R56 Cooper, & the R57 Cooper Convertible second generation models.